Full Synthetic technology for transmissions is now available for the Harley® Sportster/Buell®. 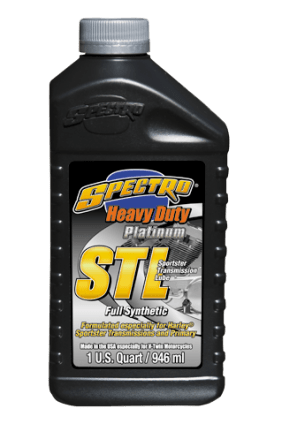 Spectro® Heavy Duty Platinum Sportster Transmission Lube is a fully formulated synthetic transmission lubricant engineered to work in all applications where the same oil lubricates the clutch/primary/transmission. A.P.I. GL-1 rated. Dyed green. 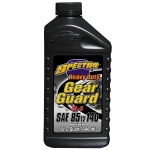 Exceeds all known OEM and Harley Davidson® warranty requirements.